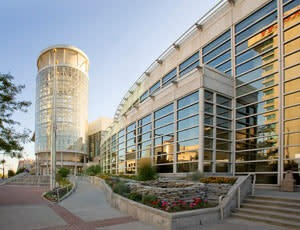 Impressive Salt Lake City Meeting Venues | Why Choose SLC? 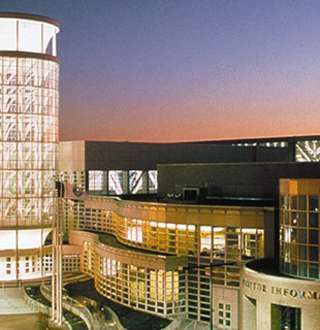 Salt Lake is home to a variety of venues for meetings, conventions, and trade shows. From traditional convention and exposition centers to grassy concert venues and almost everything in between. Take a look below at what Salt Lake has to offer. In addition to traditional convention facilities, Salt Lake is also home to two sports arenas that can make a fine location for, or addition to, your meeting. Vivint Smart Home Arena: A 20,000-seat sports and entertainment facility. Home to the NBA&apos;s Utah Jazz. Maverick Center: A 12,600-seat arena hosting concerts, family shows, and home to Utah Grizzlies hockey. When it comes to thinking outside the convention center, Salt Lake&apos;s got you covered. Choose from magnificent mountain settings, sleek skyscrapers, Olympic venues, multi-level nightclubs, or classic concert halls and theaters. For a unique touch, try one of Salt Lake&apos;s turn-of-the-century mansions, a historic railroad depot, or an authentic pioneer village. In fact, with the natural beauty here spectacular outdoor venues are our specialty: from parks and public squares in the city center, to gardens in the foothills of the nearby mountains, to meeting space up in the mountains with spectacular views. Take a moment to check out all the venues "outside the box" in Salt Lake.